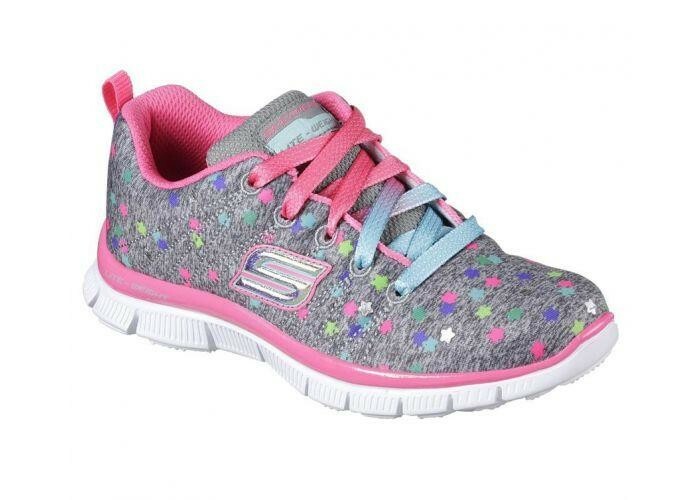 Heavenly comfort and pretty sporty style combines in the SKECHERS Skech Appeal - Star Streamer shoe. 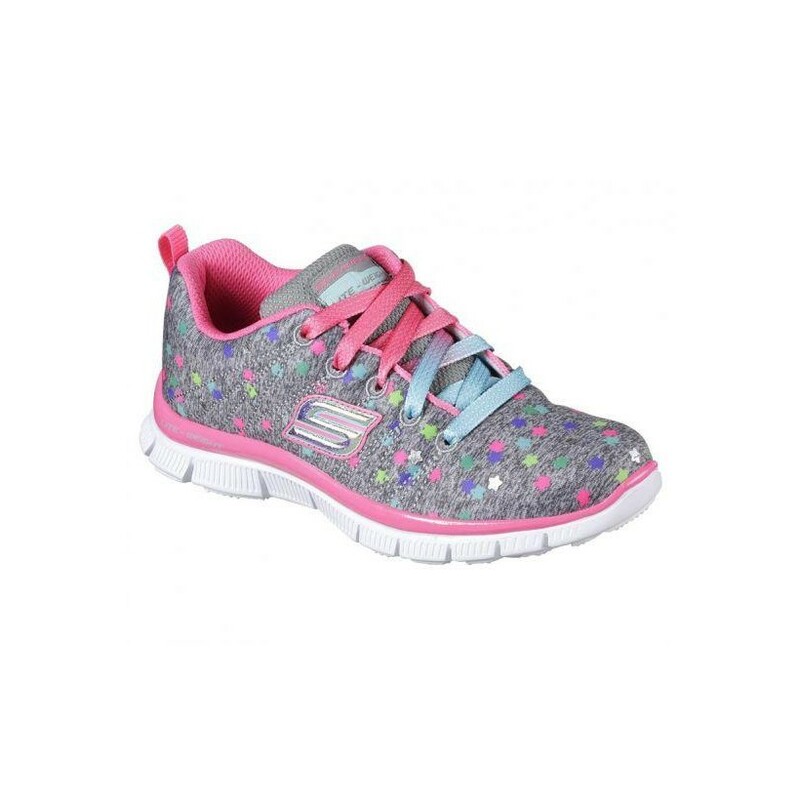 Heavenly comfort and pretty sporty style combines in the SKECHERS Skech Appeal - Star Streamer shoe. Soft heathered jersey knit fabric and synthetic upper in a lace up athletic sporty training sneaker with colourful star print. Gel Infused Memory Foam insole.